A true spring delight: get an extra 10% off! Spring for Outdoor Event: Extra 10% off. Valid 2/11 to 3/3. Dining Room Sale: 10% Off Select Dinnerware by Select Brands. Valid 2/11 - 3/3. A party for your dining room: save upto 30%! Dining Room Sale: Up to 30% off a banquet of styles. Valid 2/11 - 3/3. Nothing pulls a room together like a rug. Buy now and save 10%! Rug Sale: 10% Off Select Rugs by Couristan. Bumper sale on bumper brands! Get 15% off on your next rug! Rug Sale: 15% Off Select Rugs by Colonial Mills, Loloi, nuLOOM & Home Dynamix. Here's your window of opportunity: get 15% off! Wall & Window Sale: 15% Off Select Decor by Renwil. Beautify your home while saving upto 40%! Wall & Window Sale: Up to 40% Off Decor, Drapes & More. A sale that will have you floored! Rug Sale: 25% Off Select Rugs by Momeni & Amer. Rug Sale: Up to 35% Off Designs For Every Room. Upholstery Sale: Up to 30% off designs covered in style. No promo code required. Hayneedle is an e-commerce retailer with its headquarters in Omaha, Nebraska, USA. It was established in 2002 by Doug Nielsen, Mark Hasebroock, and Julie Mahloch when they acquired Hammocks.com, an online store. They would later acquire many other specialty online shops that continued to be run in their names until 2005 when they were brought under one name, NetShops. After purchasing more online stores, NetShops was rebranded to Hayneedle in 2009. The company deals in various indoor and outdoor products ranging from furniture, home decor, pet supplies, lighting, kitchen and dining, baby and kids, bed, and bath products. These products are categorized into home improvement products, games, and hobbies, sports and fitness to make shopping easier for customers to locate items. Hayneedle was bought by Jet.com in March 2016. Walmart later acquired Jet, making it the current owner of Hayneedle. Currently, Hayneedle has more than 1000 employees working in its locations. As an award-winning company, Hayneedle has received numerous outstanding awards and recognition. It’s accredited by Better Business Bureau and holds a rating of “A+”. 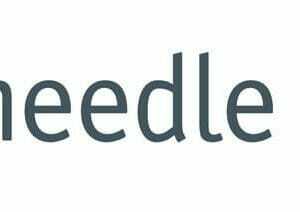 In 2015 Internet Retail placed Hayneedle at position 11 in the largest internet-based mass merchant by sales volume and at number 22 in the largest online retail segment. Internet Retail currently ranks Hayneedle at position 5 in the list of Top 500 retail companies. You have to visit hayneedle.com and sign up for a customer account. This will enable you to make purchases and earn reward points for ever dollar you spend. The items you choose to order will appear on your shopping cart. You will then follow simple purchase guidelines and the goods will be shipped to your address. Hayneedle offers various discounts on select items on a limited time. To take advantage of these offers, shop the items on the “SALE” page and place them on the cart. The shopping cart is on the top right-hand side of the screen. When you are done with shopping, go through the usual purchase procedures and provide your billing address. You will see a section for you to enter the coupon code. After entering the coupon code, select your payment method and proceed to make payment and submit your order. You will be required to confirm your order and check if your coupon code was successfully applied. Promotional discount codes can only be used once per product and not applicable to previous orders. If you got a number of discount codes, the one that gives you maximum benefit shall be applied in the order. There is a reward program for customers where you can accumulate points as you make purchases. You can redeem your reward points during checkout. How Can Customers Connect With Hayneedle? If you would like to interact with Hayneedle, there are a number of ways through which you can reach the company. You can use email, Facebook page, Pinterest, Instagram, or call customer care on phone. The customer service number is 1-888-880-4884. Customer service is available on phone between 7 am and 12 am from Monday through Friday and on Saturday and Sunday from 8 am to 8 pm ET. Hayneedle has a YouTube channel as well, where they post video ads. In addition, sales assistance can help you from Monday to Friday between 8 am and 12 am, Saturday and Sunday 9 am – 12 am ET. The “help center” also provides valuable information you may require. Live chat support is provided on the website too. Hayneedle accepts eligible returns made within 30 days from delivery date. You’ll simply log in to your account on Hayneedle website and check your order. Alongside the list of items you purchased you’ll see a return/exchange link. Tab on the link and you’ll get information on the goods eligible for a refund. You should return the goods in the original packaging you received with. Goods return process starts with you obtaining a Return Merchandise Authorization (RMA) number. You will have to print this and enclose it in the return package with your reason for item return and contact details. Indicate the RMA number on the return package box together with the return address. You may have to meet the return shipping charges if the reason for return is your change of mind. Any refund shall be made through the payment method you had used during purchase.